Renaissance Pubs | Three Cheers Pub Co. 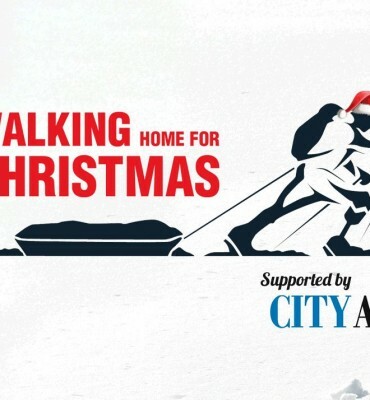 Award-winning Renaissance Pubs of South London is pledging its support to all those taking part in Walking Home For Christmas on 20th December – offering walkers free pints and a well-earned break. Owners Tom Peake, Mark Reynolds and Nick Fox of the six esteemed inns which include The Abbeville, The Avalon and The Stonhouse in Clapham, The Bolingbroke in Battersea, The Rosendale in West Dulwich and The Tommyfield in Kennington are keen to support wounded British soldiers and have offered up free pints of beer at all six of their pubs to anyone taking part in the fundraiser. They will also be encouraging punters to get involved with the scheme. Spread across south London from Dulwich to Battersea, Renaissance Pubs are ideally placed for a stop off and a quick drink for many walking routes out of the city, the Square Mile and central London. Those walking back from Canary Wharf and heading south can pitch up at the bar of The Rosendale West Dulwich, The Stonhouse (just off Clapham High Street) is ideally located for those making the stomp back from Oxford Circus whilst The Bolingbroke is easily located for those coming over Battersea Bridge. Renaissance Pubs will be pledging support to all walkers and will offer a free pint of beer or a hot mulled wine to anyone raising money for Walking Home For Christmas on Friday 20th December. ← Calling All Eligible Young Bachelors!